Sometimes the least likely alliances turnout to be the most powerful and necessary ones. 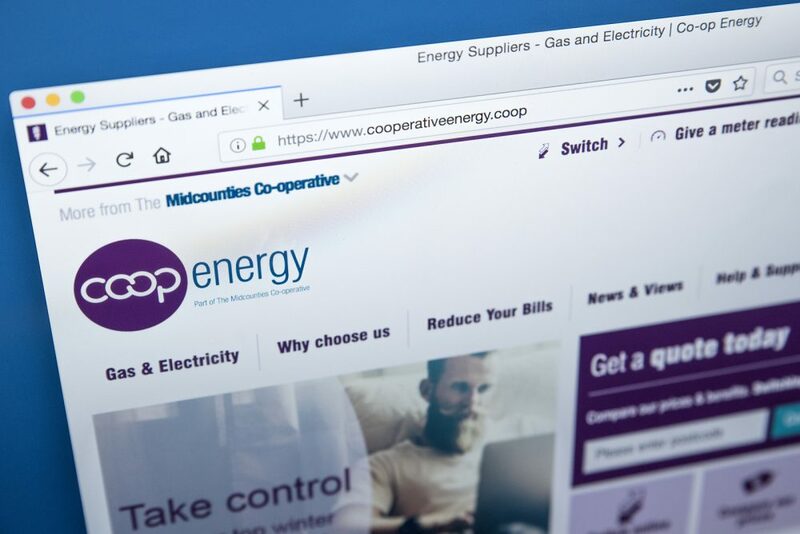 We take a look at how co-ops, a new co-op incubator and crowdfunding experts can team up to support the launch of community energy projects making it easier to set-up and finance local installations. 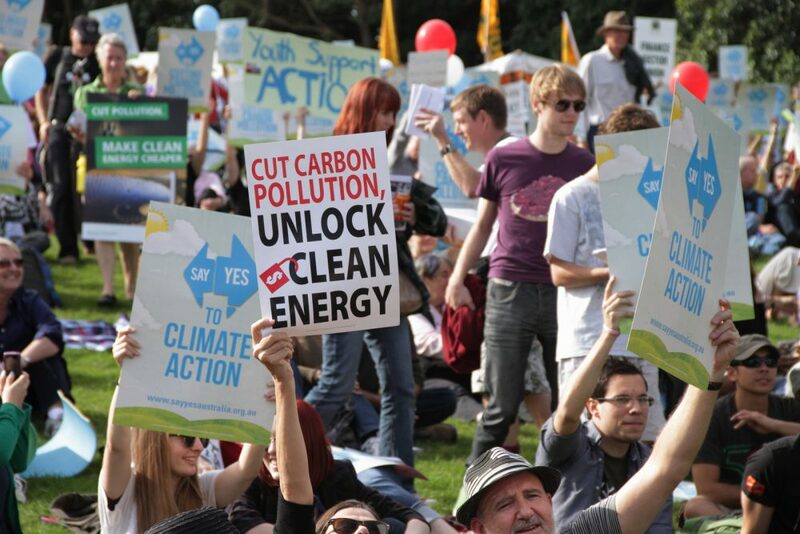 The vision for clean energy in Australia has been the subject of much debate. Not only do the targets vary vastly between different interested parties but so do the mechanisms for achieving those targets. 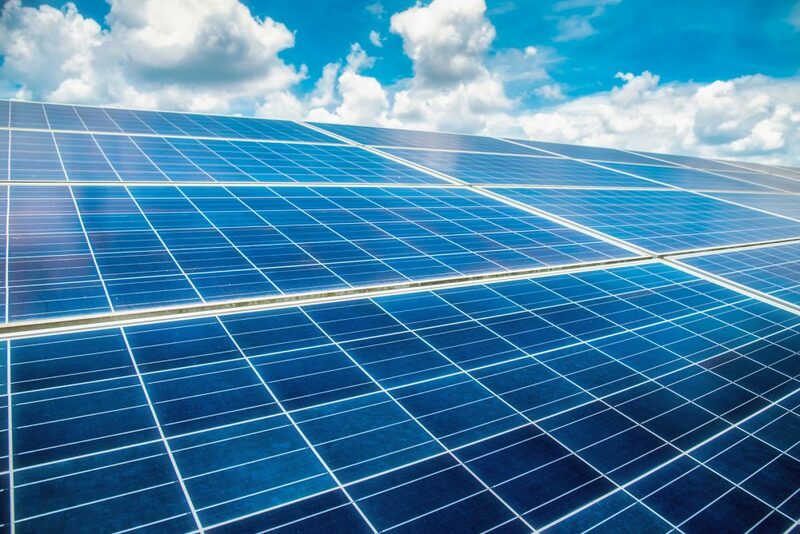 The Coalition government supports a renewable energy target which is expected to equate to just over a 23% contribution of renewables to the Australian electricity sector in 2020. The Labor party is targeting 50% of electricity from renewable sources by 2030 and the Greens a whopping 90%. The Coalition aspire to reach their quotas through large scale centralised production whereas other parties appear more open to smaller initiatives at a local level. It is these smaller scale local projects, more often in rural communities, where the co-operative ownership model is starting to be re-evaluated. Whilst some Australians still regard co-ops as archaic relics from a bye-gone age, there has been a slow but steady stealth-like re-emergence of co-ops around the globe. It will no doubt come as a surprise to some that in the US, of all places, the cooperative movement has infiltrated much of society to the extent that there are nearly 30,000 cooperatives with more than 100 million members. Cooperatives have captured many sectors in society but importantly for the planet, there is evidence of an impressive impact in the community renewable energy field. For those new to the concept, community renewable energy revolves around community ownership, participation, and the sharing of benefits from community-scale renewable energy projects. If we look at industrial countries where major progress has been made with renewable energy we can find evidence of community energy playing an integral role. Denmark was an early pioneer of community energy in the 1970s and is now close to its target of 50% renewable electricity. Germany has around 850 energy cooperatives and reached a 32% renewable energy by 2015 with a 2025 target of 40-45%. Around 50% of the installed capacity in Germany is owned by households, farmers and communities. It is accepted that country by country percentage comparisons are not particularly meaningful in themselves as countries have different natural resources. For example, Costa Rica was able to meet 99% of its energy needs from low carbon sources including hydroelectric, geo-thermal, solar and wind power. However, in general, there appears to be evidence to demonstrate that community ownership has been instrumental in the transition to renewables in countries such as Germany, Denmark, Britain and, increasingly, the United States. In Australia community energy is a relativity new concept. One of the pioneering projects in Australia is Hepburn Wind. 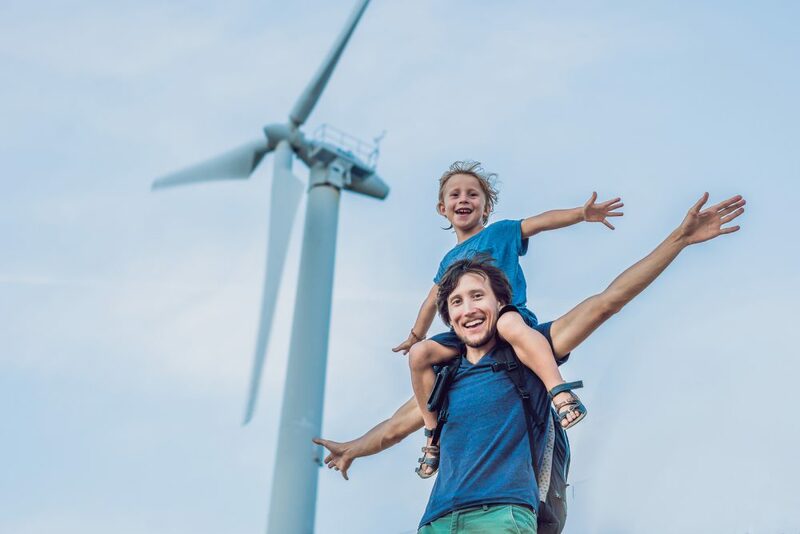 The project which was set-up as a co-operative, is Australia’s first community-owned wind farm, 100km north-west of Melbourne. The 4.1MW farm produces enough clean energy to power over 2,000 homes. Today there are around 70 active groups perusing projects with just under 20 of those already generating energy. As more projects come on board they are likely to generate further interest and lead to the formation of new groups. How groups structure their community projects is the cause of much debate. Although co-ops can be significant entities such as Co-operative Bulk Handling Ltd which turns over $2 billion plus each year, historically, co-ops have been regarded as difficult to form and there is little in the way of education provided in comparison to the guides and courses available for setting up propriety company structures. Where communities are coming together in support of a common local goal co-ops are increasingly becoming the natural choice of structure. However, these groups which often start off with good intentioned community volunteers quickly become stuck ploughing through and repeating research in a mine-field of data. 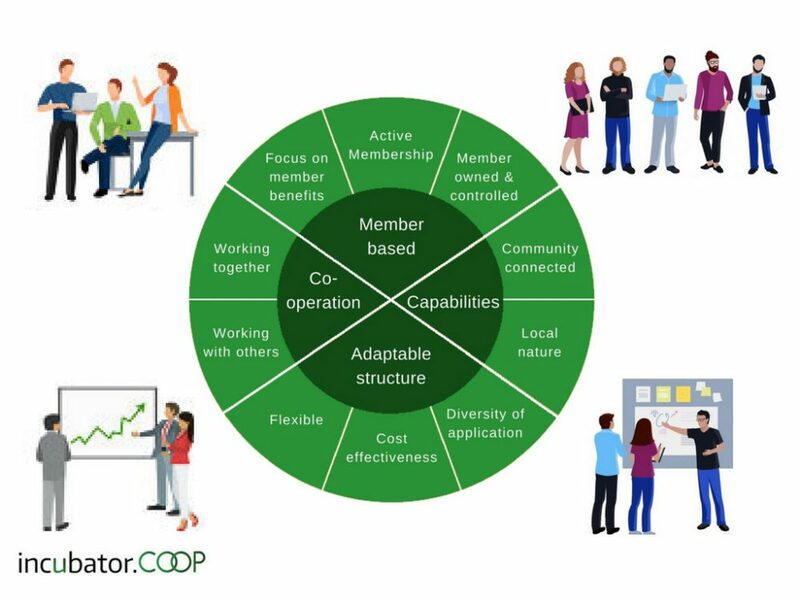 Incubator Co-op was created to address the challenges these new community energy co-ops were facing in setting up and getting their formal documentation in place quickly so that they can get to the business of running and operating the co-op. 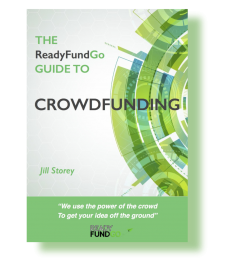 Andrew and Paul created a founding team with Rohan Clarke, the Co-op sector’s leading innovator in Financial Services, Antony McMullen a leading authority on Co-op Policy and Development and Jill Storey, the CEO of Australian crowdfunding platform ReadyFundGo. Co-op Incubator launched in December 2017 with a view to streamlining and aiding the process of creating other co-ops. Once the co-op is created then an early task in any community renewable energy project is the raising of funds to get the project off the ground. In the UK where community renewable energy projects are more prevalent, crowdfunding has proven to be a perfect tool to facilitate the delivery of the projects. For different community energy projects in the UK crowdfunding has been used in different forms ranging from reward-based, “community-share” based through to equity-based crowdfunding. The term “community share” is not a term with an accepted legal definition. It was coined in the United Kingdom by the Development Trust Association and generally refers to non-transferable, withdrawable share capital issued by co-operative entities. Community share offers are made to the public and a person who takes up these shares becomes a member of the co-operative entity. It is still early days but as we see more co-ops being formed in Australia, some facilitated by Incubator Co-op, there is likely to be an increase in the debate and a rise in education around community shares and there use in crowdfunding in Australia. This is all good news for Australia. As we see more people opting for local community owned renewable energy, the Incubator Co-op facilitating the creation of the co-op and increased use of crowdfunding we maybe just seeing the shoots of new greener future.